A figure that I bought back in the early 90s. 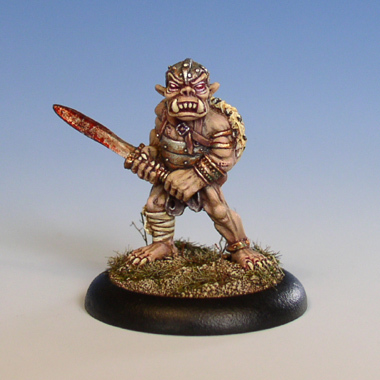 A small and very detailed orc warrior from a German mini-company if I remember correctly. To try something new I used a warm fleshtone instead of the classic shades of green. Fun and quick to paint.